I'm sure the loom band craze didn't escape you, if you weren't doing it then you must have atleast of heard about it, especially that well known expensive loom band dress!!! Well apparently the time has come for loom bands to move over to let a new craze take over, I'm talking about paracordz. 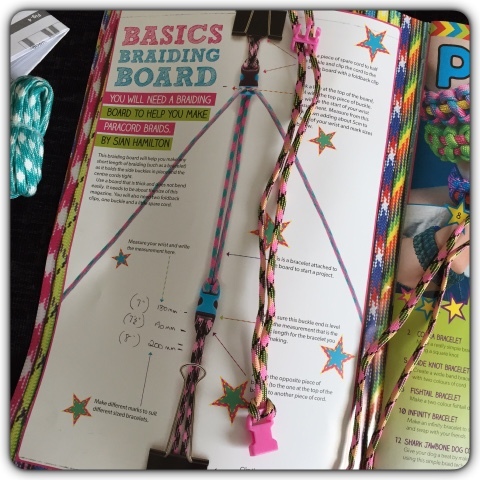 I was recently sent the new Paracordz Factory magazine along with a basic kit so that my girls and I could have a go at using them and see what all the fuzz is about. 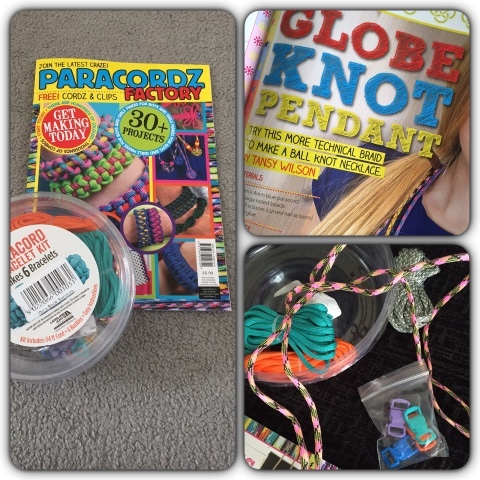 Paracordz like loom bands can make unlimited amounts of items including jewellery, objects like key rings, hair accessories and much much more. Now I like the idea of these as of course there was worries about certain loom bands being toxic and the small items being choking hazards plus worries of the bands getting caught around fingers etc. Paracordz seem to be a more family friendly option. 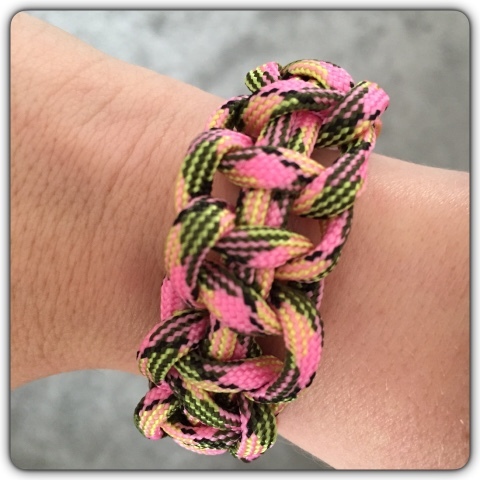 With lots of brightly colour paracords available, there are plenty of combinations and patterns to experiments with and it seems a great way to encourage motor skills. I myself had a go whilst the kids tried to make bracelets along with me and I have to say we all found it quite tricky. The kit we were given only gave us clips and an assortment of coloured paracord. According to the instructions we also needed boards and bull dog clips or something similar to hold the bracelet tight whilst you make it, something which we didn't have lying around. So we had to struggle on without. 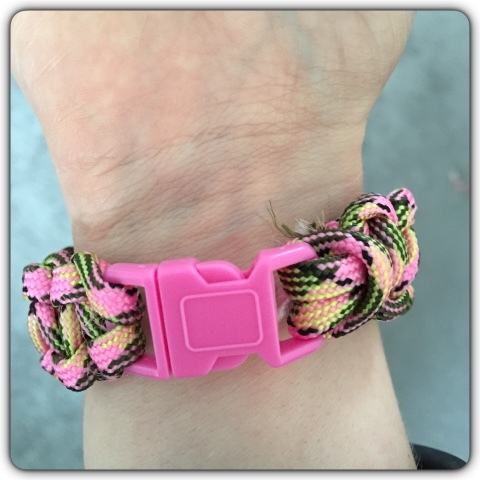 Also unlike with the loom bands where the tiny clips held the bracelet together, with paracordz you need to super glue the tied ends together to make sure that they don't undo, now as a parent I don't really want my kids around super glue. My finished bracelet did look pretty and it was a lot more comfortable to wear than the loom band bracelets of the past. I think the idea itself is clever and it allows for children to get creative, maybe we would have had better luck if a full kit was provided. Overall I'd say it is aimed more at older children which for me is a shame as my younger kids were left feeling left out when they couldn't make the bracelets too. Certainly something to try it just wasn't for us in the end. These look beautiful, I always worried about my daughter wearing the cheap plastic bands, these look much healthier! so this is the next loom band craze? They look good though and anything that engages children is a winner I think.